The October 1999 Report of the Traffic and Parking Working Party, led by the late Brian Parker, and looking at the impact of development on the riverside on traffic flow and parking. The consultation runs to 11 December. Work begins on 30 September on the redevelopment of the Embankment, directly in front of Diamond Jubilee Gardens, to the west of the Embankment. The work will continue on the improvements already made to the Embankment in 2009. Six crossings over the road leading to the Riverside Walkway. Seven new flower beds to include perennials, grasses, and box hedge. New street lighting and park furniture to link the eastern embankment with Diamond Jubilee Gardens. Use of high quality materials including York Stone, heritage gravel, and Staffordshire blue pavers. Tree planting will also take place to remove eight Horse Chestnut trees which have become infected with three different diseases which include bleeding canker, leaf miner, and leaf blight. The diseases will lead to what is known as ‘limb failure’ and will reduce the life expectancy of the trees currently located to the Western side of Twickenham Embankment. The trees have outgrown the tree planters and roots are demolishing the pathways and planters. 14 September - Charlie Shore's Boys and Girls Regatta. This application comes from Omaha Properties, owners of the south side of King Street. The plans call for 2 2-bedroom flats and 2 1-bedroom flats, with space for a gym or recreation facility on the ground and first floors. 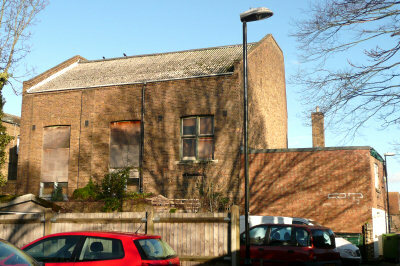 The ugly, modern rear extension - to the right of the picture above - would be demolished, and the intention is to move the spectacular frieze into the communal area of the building. The council cabinet voted on Friday 17 May to buy properties at 1, 1a and 1b King Street, and 2-4 Water Lane. The King Street frontage contains Santander, M&Co and Superdrug. The Water Lane property is the car park behind King Street. According to the officer's report to cabinet, the purchase - with a suggested price of approximately £1.5million and a cap of £3million - will enable the council to press ahead with plans for a public square at the corner of King Street and Water Lane, plus an "active frontage" with retail and residential down Water Lane. Service Road: Acquiring the car park means that the service road can be extended to Wharf Lane - though the drop in levels of approximately 1.5m means that vehicles with large turning circles will have problems. The Twickenham Area Action Plan is currently undergoing scrutiny by the planning inspector, prior to being adopted. One worrying element in the plan is a possible specification for redevelopment on the site of the old toilets, including possible retail, café, and luxury housing. This is a prime location, with views up and down the river, and should remain in the public domain in perpetuity. The view downstream from in front of the former toilet block, February 2013. Photo © Yvonne Hewett. The view upstream from in front of the former toilet block, February 2013. Photo © Yvonne Hewett. 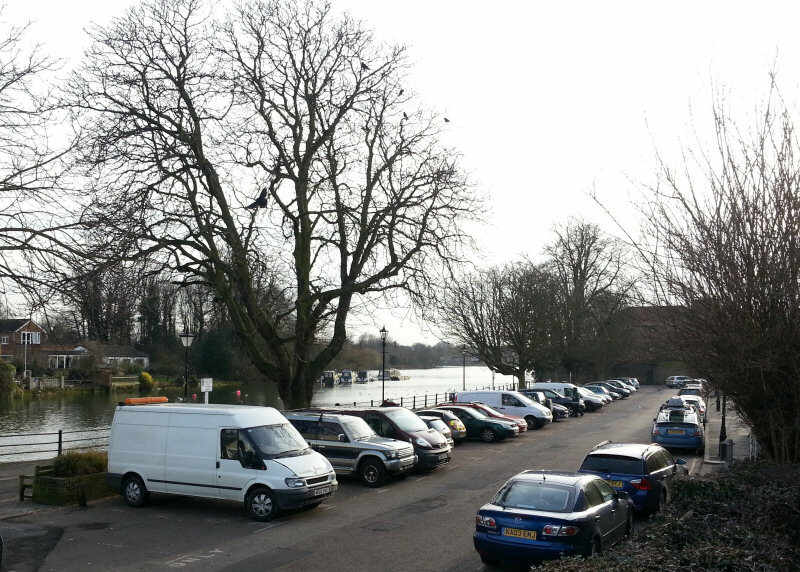 The Twickenham Riverside Terrace Group's application from 9 March 2012, 12/0719/FUL, still has not been heard. HANDS, the charity that provides voluntary help and support for people throughout the community, is still located in the former Superintendent's house. Otherwise, the buildings are empty and derelict, including the former toilet block. Please see our History 1980-2001 page for background and the details of developments proposed for the pool site prior to December, 2001; and the pages for 2002, 2003, 2004, 2005, 2006, 2007, 2008, 2009, 2010, 2011 and 2012 for changes to the poolsite in those years. 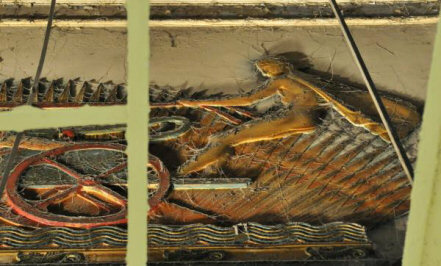 The picture archive from the partial demolition of the old pool building is at Pictures 1 and Pictures 2. 1. The October 1999 Report of the River Use Working Party, looking at the site, its surroundings, and possible redevelopment options. 2. The October 1999 Report of the Traffic and Parking Working Party, looking at the impact of the development on traffic flow and parking. 4. The April 2000 Report of the River Centre Working Party. This interim document was delivered to the Council on 13 April. 5. Rethink on the Riverside - prepared for the Twickenham Society Group of Local Societies and Individuals: Introduction and Full Report (.pdf, 16 pages, 192kb). Sept 2002. 6. Twickenham Society Group's Recommendations for the Poolsite Development Brief - background and briefing on traffic, parking, and difficult areas. .pdf, 7 pages, 90KB. August, 2007. 7. The Big Questions about the Alternative Schemes (2 pages, 90KB .pdf) Originally drafted in 2009 and still relevant. Page last amended 23/8/13. 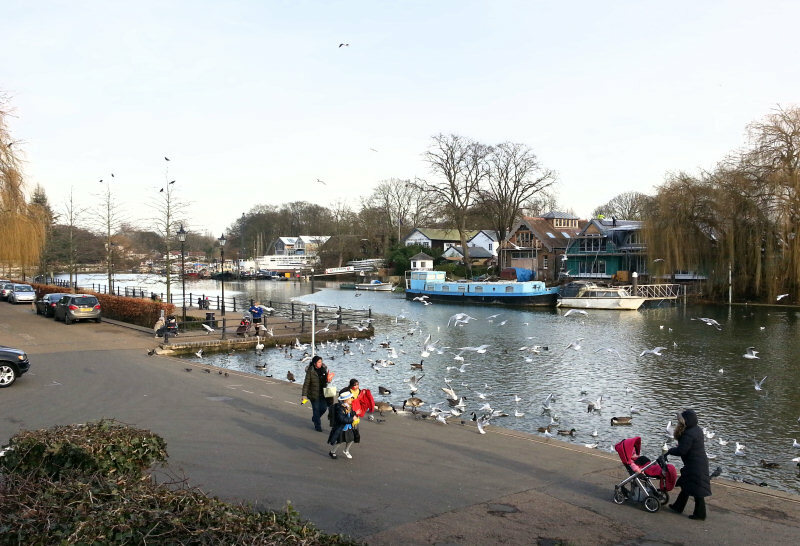 All photographs and text on this site are © Twickenham Riverside, unless otherwise stated.